The popular Subaru Outback is already receiving top honors for its brand-new 2014 edition, thanks to its phenomenal features and aggressive exterior design. Named Car Guide's top crossover and Motor Trend's SUV of the Year, the Outback is chock-full of capabilities, making it one of the best sport utility vehicles for active drivers and families. Its spacious interior layout, off-roading capabilities, impressive amenities and new/upgraded components keep the wagon from being just another average crossover. An all-wheel-drive configuration also gives it the ability to power through various weather conditions ?" perfect for year-round driving. Equipped for any adventure, the 2014 Subaru Outback features an 8.7-inch ground clearance, giving it just enough height to tackle uneven terrain. A 3,000-pound towing capacity (available with the six-cylinder engine) provides extra capability and is strong enough to haul small trailers ?" acknowledged in Edmund's 2014 Subaru Outback review. For frequent travelers, the Outback also comes with a roof rack to hold all your luggage and gear, along with 71 cubic feet of cargo space inside the cabin. New upgrades for 2014 include an Eyesight driver assistance system on 2.5i Premium, an Alloy Wheel Package, a rearview camera apart of the Power Moonroof Package, an electroluminescent instrument cluster on 2.5i Premium and optional navigation with the Subaru Aha infotainment system. A 2.5L boxer four-cylinder engine is the standard powertrain offered with the Outback. Delivering 173 horsepower and 174 lb.-ft. of torque, it receives great EPA ratings when matched with either a six-speed manual transmission or a CVT outfitted with adaptive control. A six-cylinder 3.6L engine is also available, providing additional power, and comes paired with a five-speed automatic transmission. Delivering 256 horsepower and 247 lb.-ft. of torque, the powertrain can go from zero to 60 mph in 7.3 seconds and is a great choice if you're looking for speed. 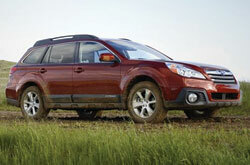 To learn more about the 2014 Subaru Outback in Kansas City, read on below for exclusive details. In quite a few key areas, the 2014 Outback beats out rival vehicles like the 2014 Toyota Venza, Hyundai Elantra Touring, Volkswagen Jetta SportWagen, Chevrolet Equinox and the Volvo XC70. If the Outback's budget-friendly MSRP and unique onboard technologies don't convince you that it's the ideal vehicle for your needs, we're sure its eye-catching design will seal the deal. Many drivers in Kansas City choose it because it's a fantastic value; compare its price to the forementioned vehicle options to see for yourself. 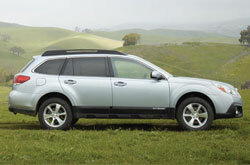 For more details about its vehicle specs, check out the Outback's quick-facts list below. Buying a car takes time, research and a little help along the way! 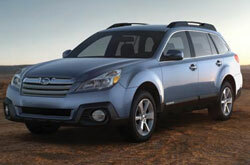 That's why Van Subaru has provided the Outback review above and reviews of other 2014 Subaru models. 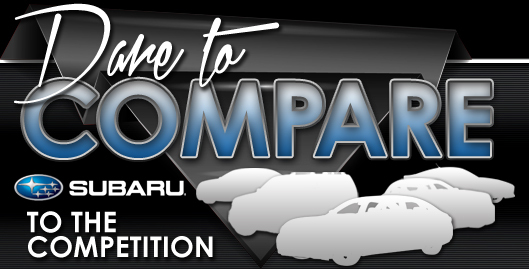 Veteran automotive writers put in hours upon hours of research to write the reviews on our site. Filled with invaluable information and specs, including cabin features and other info, each overview gives you full access to everything Subaru's lineup has to offer. After reading through our review of the Outback, find out about current financing offers that'll help you save a substantial amount on your purchase at our Subaru dealership in Kansas City.